ABB Australia announces the introduction of the new IRB 1520ID arc welding robot for use in metal fabrication. Designed to deliver more operational safety and higher precision, the IRB 1520ID arc welding robots feature integrated process dressing technology designed specifically for arc welding in metal fabrication. Arc welding is a dangerous process for the operators, presenting risk of burns and over exposure to UV light causing eye injury. 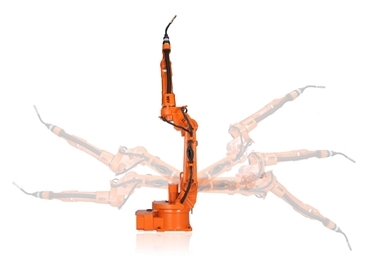 Operators can program ABB’s IRB 1520ID robot to do the welding, reducing the risk of personal injury. These robots also support manufacturers with optimising cycle times, saving materials, reducing waste and improving productivity and product quality. ABB’s IRB 1520ID high precision robots have all power cables and necessary gas and pressurised air hoses used in welding integrated into the arm of the robot to provide a shielded dressing or covering, which ensures greater safety for operators in addition to more simplified robotic programming with more predictable welding results without estimating for swinging cables. The integrated dressing design also allows for more flexible movements, which are required for example, for single-motion welds around cylindrical objects or hard-to-reach weld seams. According to Paolo Maggi, robotics specialist at ABB in Australia, manufacturers that require automated arc welding now have an easier way to upgrade to a robotics solution thanks to the IRB 1520ID. Users of the IRB 1520ID can also access all the benefits of ABB’s Remote Service, which provides remote access to the arc welding system for production monitoring, fast diagnostics and predictive maintenance.